This week, Your News to Know brings you the top news stories about gold and the overall economy. Stories include: Gold investors should prepare for the best month of the year, how to play the Fed’s rate hike bluff, and a California man finds gold nugget worth $70,000. Ever since the early 1970s, gold has produced an average return of 2.2% in September compared to a combined average of 0.6% in the remaining 11 months. While the reasons for gold’s September spike aren’t fully clear, one thing is: After a couple of relatively flat months, owners of gold are entering what is historically one of the best months of the year for the metal. According to MarketWatch’s Mark Hulbert, gold’s performance in September isn’t the only thing that should improve your near-term outlook on the metal. There is also the sentiment of gold market timers: Thanks to the contrary logic of contrarian analysis, the current bearishness is a positive development for gold. An index of market timers maintained by Hulbert now has gold at an average of minus 2.17% – not particularly low, but still a way off from May’s 60%. As explained by Hulbert, should gold sentiment continue along this trajectory, it will trigger a contrarian “buy” signal; this, coupled with what could be a standout September performance for the metal, should give some reason to be optimistic. Wall Street pundit and known critic of the Federal Reserve Jim Grant recently spoke to Kitco News about the bleak outlook painted by the Fed’s recent comments. According to Grant, the markets are now stuck in monetary-policy limbo while the Fed resorts to bluffing in official announcements. “I think that [the Federal Reserve] missed their mark. They should have raised rates by now,” said Grant, who believes that the solution for concerned Americans lies in gold no matter what happens with interest rates. And while the yellow metal has gotten a boost as the likelihood of a U.S. rates hike fell, Grant argues that the Fed’s next policy move isn’t going to drive the metal. To him, “it’s the revelation that we’re walking – or running – down the wrong path, and that we must regroup and formulate a monetary policy that’s based upon a lasting standard of value.” Grant sees no better standard than gold and finds it to be the safest bet since current central bank policies can either “end in tears” or “laughter” depending on how Americans position themselves. Instead of being a hedge against monetary disorder, Grant explains that a bet on gold is an investment in it because monetary disorder is already here. 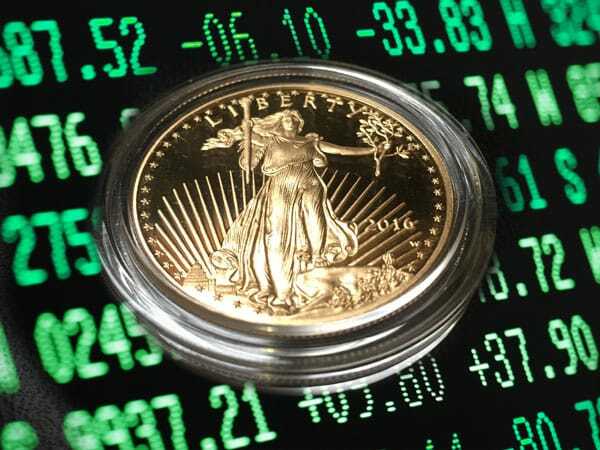 “I think what us gold bugs are waiting for is the spreading perception that we have monetary disorder,” Grant concluded. Newsmax reports that a man from California has recently struck gold in the most literal sense: During a routine prospecting venture, Oscar Espinoza happened upon a gold nugget with an estimated worth of $70,000. Espinoza, who was surprised by the nugget’s size, said he initially thought he might be dreaming. Espinoza’s friend and Jamestown Hotel owner Charlie Morgan also said Espinoza was concerned about safely storing the find due to its value. According to the owner of Gold Prospecting, the nugget’s price could be driven up due to interest from collectors. Jamestown is located in the heart of California Gold Country, an area long known for its prospecting opportunities. As seen on the Visit California website, the discovery of gold in 1848 sparked the largest mass migration in U.S. history, with over 300,000 pioneers heading to California with hopes of finding gold.